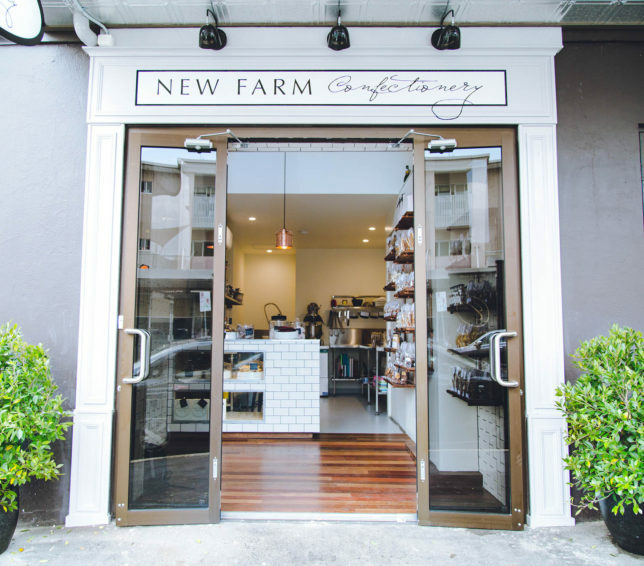 Tell us a bit about New Farm Confectionery, what is it all about? We started two years ago in my kitchen, and have now grown to our store in New Farm plus a shipping container at Eat Street Markets and lots of wholesale too. It all started after travelling to France, where I realised that all those garish, artificially-coloured sweets we sell here in Australia do not taste like anything that is natural. 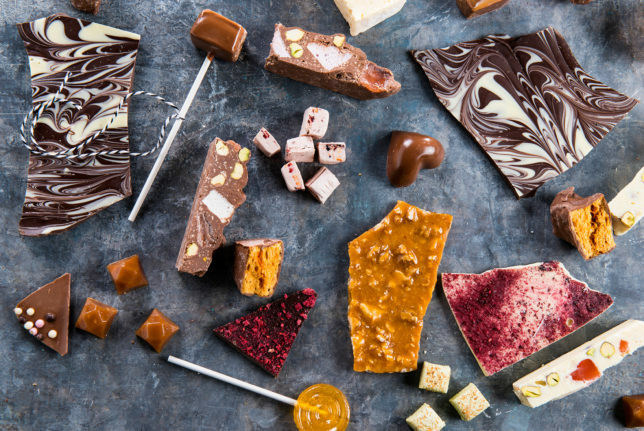 In Paris there are shops dedicated to confectionery for adults – beautiful, bountiful shops bursting with marshmallows made with the finest ingredients, delicious salted caramels packaged to appeal to the adult eye. We didn’t have that here so I saw this a real niche in the market. You have a store and a pop-up, so what kind of technologies are you using to run the business? For our first year when we were just at Eat Street Markets, we used online accounting system Xero but everything else was done with pen and paper and cash payments. We also used PayPal for card payments using their app on my mobile, but I didn’t have any real idea of how much I was selling or how much money I was making. Once we decided to open a physical store, I knew we needed to run the business smarter so we trialled a few different POS systems and chose Vend which also integrates with PayPal and Xero. We can track all our sales and products right through to our accounting system and run everything off an iPad. The mobility was a big selling point for us. Were there any challenges you faced with getting these systems set up? Very early on we were using our POS and payments independently of each other, so they weren’t integrated, and it was clunky. As soon as they were integrated though it became seamless and really really easy, it’s perfect. The staff don’t have to think about what’s happening when they’re taking payments, it all works together in the background without them noticing. What are the benefits you’re seeing from using iPad as your cash register? Our store is very small so we didn’t want a big cash register taking up space. Using an iPad as our till takes up hardly any room and we don’t have to be static behind the counter. We are always serving customers out the front of the shop and can take their payments anywhere, it’s really portable. It’s also a real talking point for customers. Everyone is surprised by the iPad and that we can run our POS and payments from it. And with the PayPal reader it looks really sophisticated. It makes the customers feel like we’re a cutting-edge business, and I feel like we’re giving something different to our customers and making their experience better. The other great thing about Vend is that it’s incredibly easy to use. We get new products in every single week but it’s easy to upload them and the staff love it even though they’re not the most tech advanced! Do you think mobile payments are really taking off now in Australia? We find that most people use tap-and-go for their card payments. It has definitely become commonplace and has made check-out so much faster. But more and more people are also using their mobiles to pay. We probably get a couple of people paying with their mobile each day, whereas six months ago that number was zero. It appeals to the younger, tech-savvy customer and most people use mobile because it’s cool, it’s still a novelty. Try lots of different things before you commit to one system. Originally I bought into a different system to Vend but it turned out it wasn’t right for us and I wasted quite a bit of money. Take lots of trials and find out what works best for your business before you leap in head on. 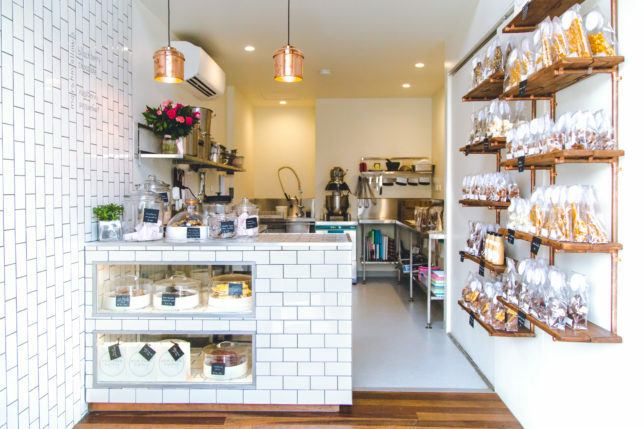 The post Vender of the Week: New Farm Confectionery appeared first on Vend Retail Blog.